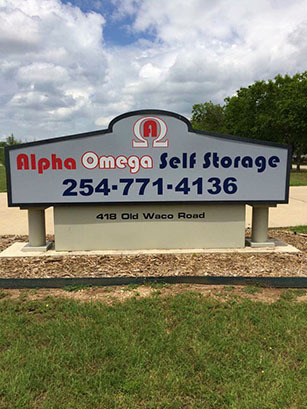 Alpha Omega Self Storage has convenient locations in Temple, Texas. We provide storage and moving supplies solutions to the businesses and residents of Central Texas. We currently have two spacious facilities with lots of storage room to park your RVs, boats, and vehicles. We are your one-stop shop for all your moving and storage supplies. Plus, we have convenient online rent payment options and accept all major credit cards. 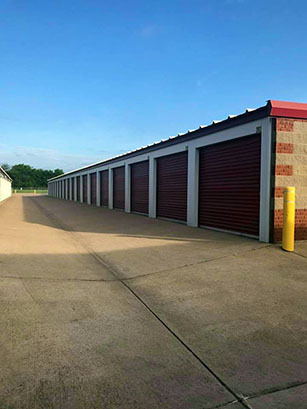 At Alpha Omega Self Storage we pride ourselves by delivering unparalleled customer service, so stop by our facility and talk to one of our friendly staff members about how we can take care of your storage needs! Contact Alpha Omega Self Storage to ask about available units and pricing. © Copyright 2019, Alpha Omega Self Storage. All Rights Reserved. Managed by Worldclass Management, Inc. Site by Presley Design Studio.